In August, we - theFretBoard - will be 5 years old. After the last Huddersfield jam, the consensus opinion was "great venue", "must do this again", and perhaps make it into a regular 6-monthly thing. 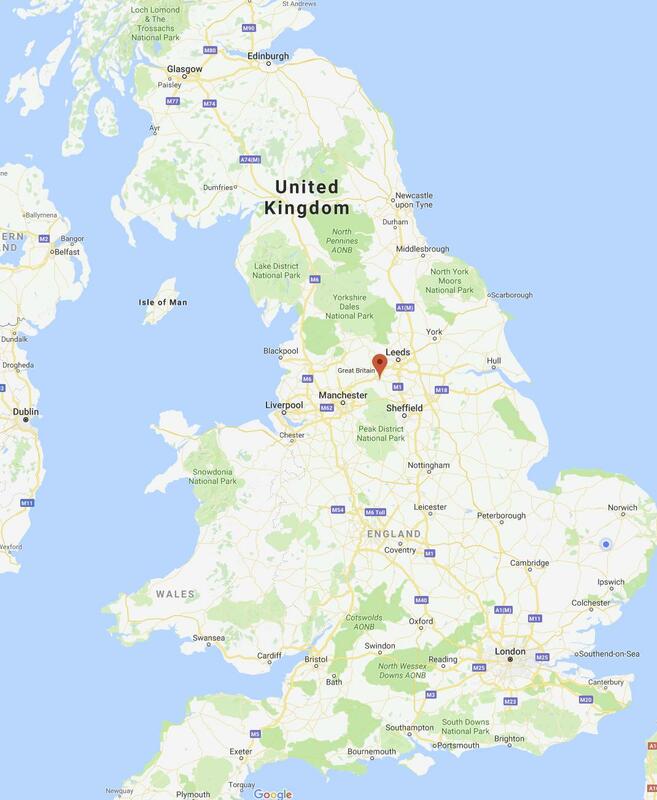 But, of course, Huddersfield is north of Watford, and thus perceived as being "a long way away" for anyone in the South, and certainly far too long way away for a day trip. We're considering holding a 5th BIRTHDAY PARTY, at the Sasquatch Studios (Huddersfield), over the weekend of 4th/5th August. People could attend Sat, Sun, or both days, as they wish. Days would be built around the jam sessions that have worked so well before, with full recording capabilities again. Looking at getting some product demos set up, like a mini-mini Guitar show. Maybe some hands-on sessions for repairs, set-ups, etc. Plenty of time for other "stuff" to be arranged - suggestions welcome. Probably get some press coverage too - I can see a feature in G&B for example. For those staying over, possibility of an evening performance from a tFB band at a suitable local venue. Sort out a deal with a suitable restaurant for food. Sort out a deal with a local hotel for overnighters. Obviously it would cost. Travel, accommodation, food plus studio hire. We've yet to talk to restaurants/hotels about possible deals, but we know that studio hire would probably come to c£15/hd/day. We'd be limited on numbers, but if we had a 35-40 people limit, that could allow for c50 to attend given that not everyone would want to attend both days. At this stage, I'm just after a show of hands - who'd be potentially interested in either or both days - and any suggestions for content. (I'll be back for your money later). I'd like to stick my name in the hat if that's ok.
Be nice to put a few faces to a few names. Hat.... meet slip of paper with "Fandango" written upon it. Slip of paper, meet hat. I’m a possible, only the Saturday, not the best weekend for me as it’s in the summer hols. I'm up for a definite maybe as I'm waiting on gig confirmations in August. I'd love to come though. I’d have been disappointed if you hadn’t stuck your hand up!!! Thats the sort of comment we get from people in South London about events held in North London (or vice versa). I thought you proper Northerners routinely did 500 mile journeys just to get to the nearest Waitrose? Waitrose? ...you've clearly never been to Huddersfield! Wilmslow is within 250 miles though?? Stop whining and get yer arses up to the party. We made it two days so you can load up your servants and kitchen staff and bring them with you. "Huddersfield is north of Watford, and thus perceived as being "a long way away" for anyone in the South, and certainly far too long way away for a day trip. We're considering holding a 5th BIRTHDAY PARTY, at the Sasquatch Studios (Huddersfield) "
Ha! I thought that was gonna say, so...we'll do something more central! Can’t do 4th - but would happily be there on 5th. It's more like: "So we're doing two days to make it worthwhile"
Unfortunately I think thats the weekend of my cousins wedding so I'll be out of the country! So? So ... so you’re saying you going to walk? Good on you! Thats the spirit ... take a leaf out of The Proclaimers singing “I would walk 500 miles, and I would walk 500 more”. I’ll should be on holiday in Scotland ( perhaps waving to DiscoStu as our paths cross) which, oddly enough, is what I was doing when I got a text from @RocknRollDave about a new forum replacing the musicradar one. So, I can’t join you In Huddersfield but I’ll give you all a moment’s thought as I traipse across a damp campsite. I Googled Huddersfield, it just returned football results. (The big red pin is Huddersfield). ... pretty much equidistant from London, Glasgow & Edinburgh. There's a lot more of the UK north of Glasgow/Edinburgh than there is south of London (so you could argue that, geographically, Hudd is more south than north! ), but I used those 3 cities as major population centres. ... pretty much equidistant E/W (ie Liverpool/Hull). ... closer to B'ham than London is. ... ridiculously close to Manchester, Leeds/Bradford and Sheffield. So in terms of being "central", it's pretty much as central as it could be between the 9 largest cities in the UK.